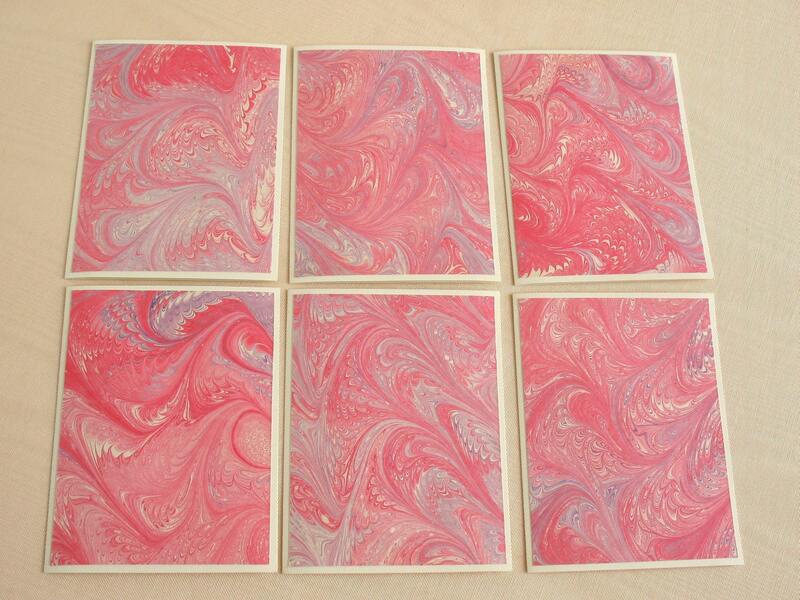 ✹ This listing is for the boxed set of six cards shown in the listing. 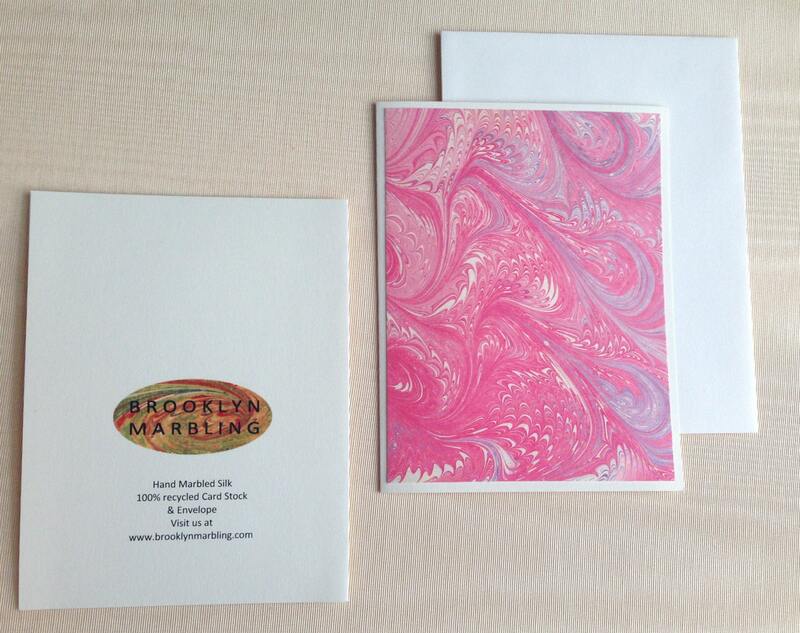 ✹ Card stock and A2 envelope (4.25" x 5.5") are 100% recycled. 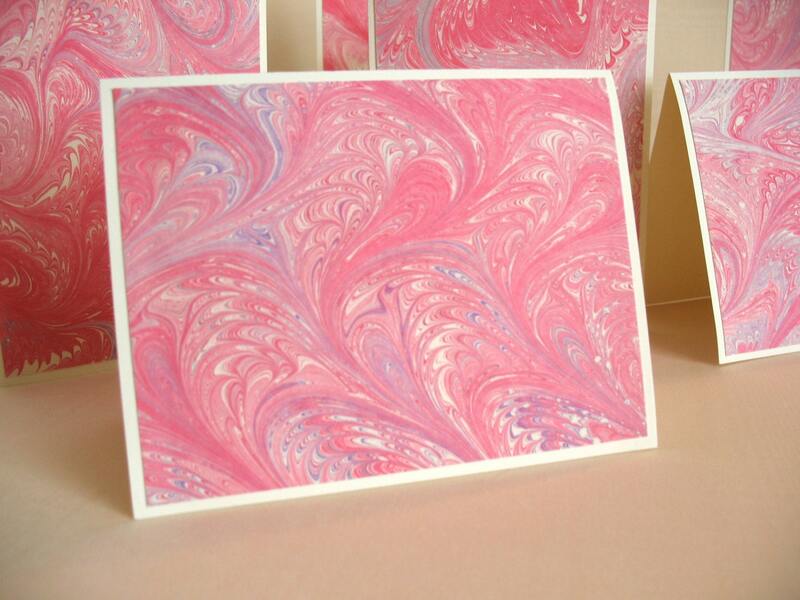 ✹ Fabric that is marbled is 100% Silk. ✹ Each box contains 6 cards and 6 envelopes. 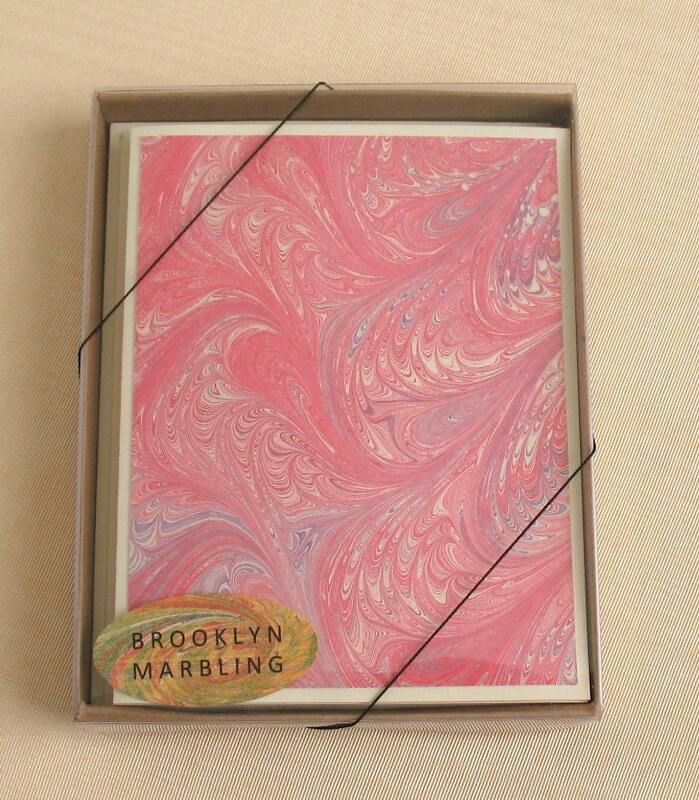 To create these unique cards I use traditional marbling techniques to marble 100% silk with an original design. I then mount this silk onto card stock, cut the card stock into rectangles, and then mount those pieces onto a card that frames the artwork. 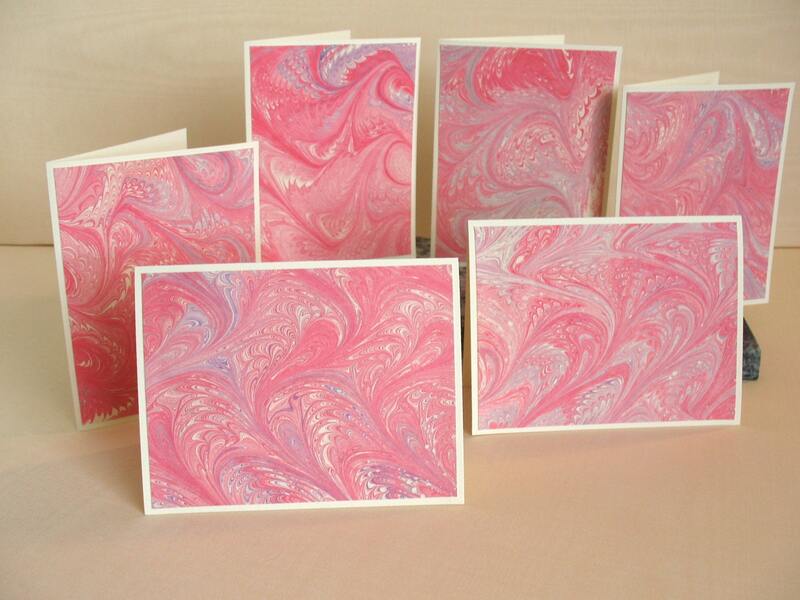 This set of six cards is made from the same piece of marbled silk creating cards that are similar yet distinct.